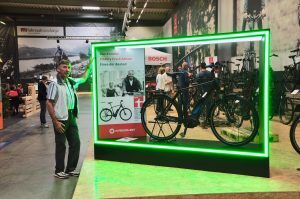 A trip to the Bike Festival at the Cycle Union factory in Oldenburg, Germany, is always worthwhile. This is where our Kreidler e-bikes are manufactured, along with many other top brands. This year we learned a lot about the new models coming on stream – what to expect with regards to improved performance and design. We were glad to see some lovely colours seeping in, as previously many German designers were inclined to agree with the Henry Ford school of thought that a customer can have any colour they want as long as it’s black! 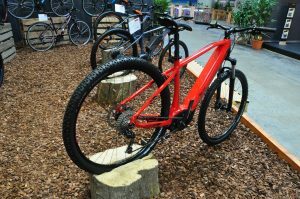 We also learned that the Kreidler Eco 6 Edition won a very prestigious electric bike award in Germany in May 2018. We are delighted, but not surprised! 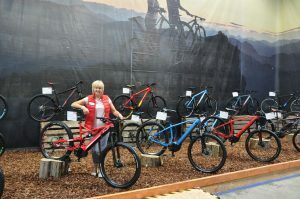 The Kreidler electric trekking and mountain bike range has always been very exciting and attractive. We will begin to scope out demand for these here in Cork, so if you’re interested in finding out more, please contact Patrick on 021 4304547. We need to know if there’s a demand! 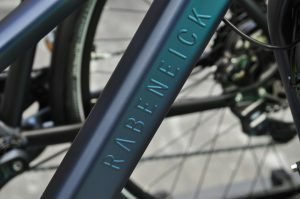 Finally, a very exciting development is the promise of an extremely sleek and lighter electric bike, the Rabeneick Urban e-bike. 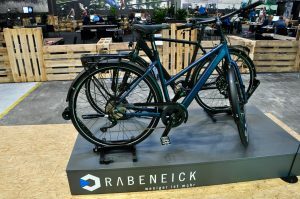 At 17.5 kg, and not looking anything like a traditional e-bike, this bike will be a real trend-setter and has the potential to revolutionise how urban cyclists get to work. 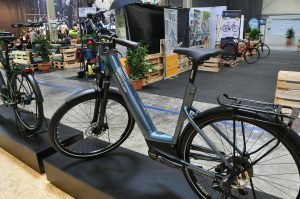 Controlled from your smart phone, this bike will comfortably give 20km of assistance for hilly cycling (up to 40km on the flat). You really have to look twice, if not three times, to realise it’s an e-bike. 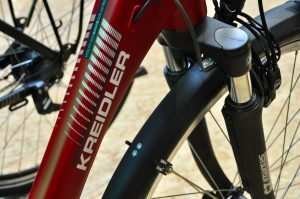 The battery is sleek and fully hidden and the motor is hidden by the disc brakes. Due to be in City View Wheels by February 2019, we can’t wait to offer this lighter, sleeker option to our short-hop customers.